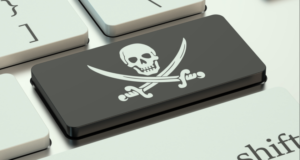 Just ahead of the IBC Show, NAGRA announced it’s launching a new watermarking solution, designed specifically to combat premium live sports piracy on open devices. Dubbed NexGuard QuickMark, the new solutions complements existing NexGuard watermarking technology for set-tops and is a new part of NAGRA’s suite of anti-piracy services. The solution enables identification of the subscriber at the source of the pirated stream, and using real-time fingerprinting, discovers pirated streams from the internet, social media and illicit streaming devices. A client-side solution, NexGuard QuickMark does not require any modifications to current encoding, DRM or CDN systems, and is integrated with the NAGRA OpenTV Player, a secure player geared toward the the delivery of premium content services on open client devices, and third-party players. NexGuard QuickMark will be available for premium sports service providers later this year. NAGRA also announced that NexGuard QuickMark has been integrated with Inside Secure’s Content Protection Client, which will allow live TV streaming services to offer more enhanced content protection services, the companies announced. NAGRA’s anti-piracy services and NexGuard watermarking and content protection solutions will be on display at IBC at stand No. 1.C81, at IBC 2018 in Amsterdam.